Summer 2008. I was living in Quebec City at Université Laval dorms while working for the Gouvernement du Québec. I didn't make many friends there except a few awesome people that I still talk to to this very day. While in the city, the city happened to be having their 400th anniversary celebrations going on all over town. Every couple days there would be local and not-so-local bands performing in a massive tent at the Bassin Louise. I saw an incredible amount of live music for the price of $0 (aside from the price of Unibroue beer.. which was $11 per 750mL bottle... including Unibroue's Quatre Centième). 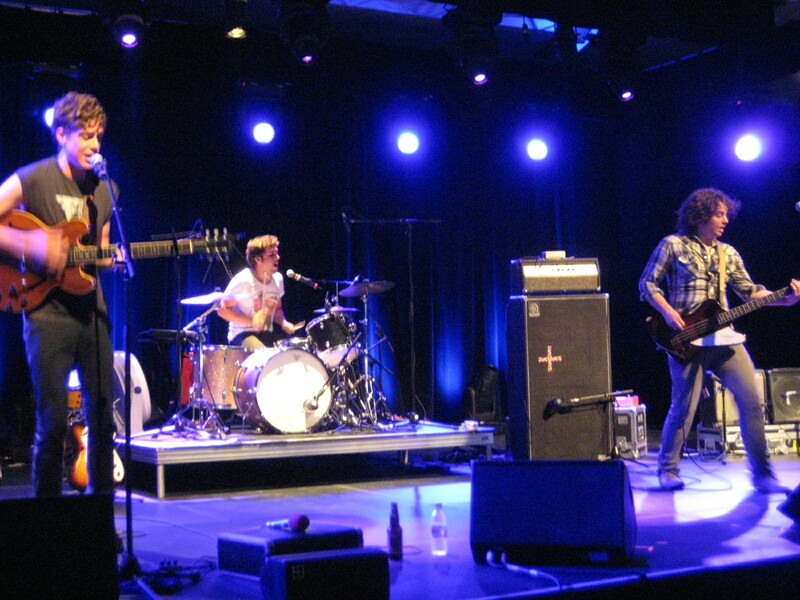 On one hot, humid summer evening in July, the free concert of the night was Born Ruffians followed by Tokyo Police Club. Being who I am, I had severe social anxiety chatting with both bands after the show, but both bands were insanely chatty and friendly! 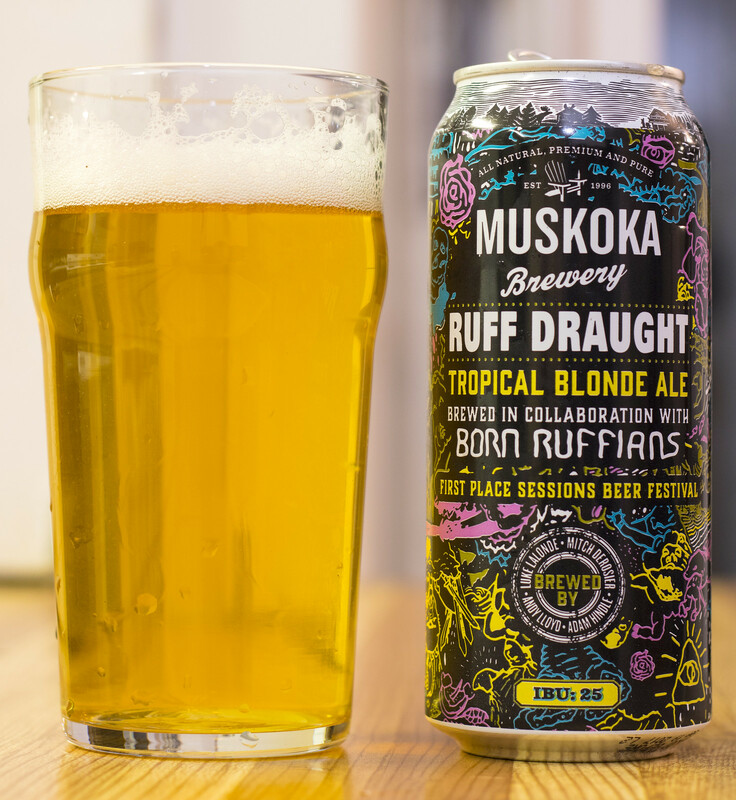 Fast forward to 2017 when I'm back in Brandon and wishing I was living in Quebec.. Born Ruffians collaborated with Muskoka Brewing to create RUFF Draught Blonde Ale. RUFF Draught is reminding me of my First Draught column in the Brandon Sun, just a tad. Appearance: Ruff Draught pours a very pale, straw yellow body with a hefty white head on top to begin with, only to be diminished to a bit of film at the end. Light amount of micro-carbonation. Aroma: It's a fairly grainy, light, typical sessionable ale with a hint of citrus notes such as lemon, and an incredibly distant aroma of maybe some sort of fruity aroma.. but it's so far distant. Fairly grainy, light on the nostrils and typical for your typical Canadian Blonde Ale. Taste: I find that the flavour is definitely getting more of a subtle citrus and fruity flavour than anything. This seems to be a Blonde that's meant to have a bit of tropical fruit and citrus flavours to give it a bit of an easy drinkability. It leaves a bit of a dryness on my tongue, and a slight aftertaste of grassy hops. The fruitiness of the beer is every so distant.. giving off a bit of a honey dew and lemon presence, but in reality.. I'm getting more of a grassy, grainy presence over almost anything else.